Click on an item below to see detail. Common believe has been that you must be absent for more that 30 days before the days in the U.S. counter stops. It would appear that this is not entirely true. Any full day that you are not in the U.S. will not be counted as you being present in the U.S. The source for this information may be found HERE or HERE. Take a look and draw your own conclusions. Disclaimer (of course). I am only passing this info along and take no responsibility for its accuracy. This bill authorizes the Department of Homeland Security to admit into the United States as a visitor for pleasure a qualifying Canadian citizen over 55 years old and his or her spouse (who is not required to be over 55 years old) for a period not to exceed 240 days if the person: (1) maintains a Canadian residence and owns a U.S. residence or has rented a U.S. accommodation for the duration of such stay, and (2) is not inadmissible or described in any ground of deportability. Such person may not: (1) engage in employment or labor for hire in the United States, or (2) seek any form of assistance or benefit under the Personal Responsibility and Work Opportunity Reconciliation Act of 1996. It has been referred to a subcommittee - lets hope they act on it and not just sit on it like previous attempts to get a bill like this passed. More information can be found in a Globe & Mail article - click HERE. You can follow the progress of this bill by clicking HERE and entering H.R.979 in the search box. Canadians may soon be able to spend more than half of each year south of the border. This pending congressional measure could help you get more use out of your U.S. property. WASHINGTON -- Canadian snowbirds, an integral part of the Florida economy, hope Congress eventually will let them visit the U.S. for longer periods, even though many Republican lawmakers are more focused on tighter border security. "We're optimistic because the ground work is done," Bob Slack, a Florida resident and head of the Canadian Snowbird Association, said by phone from Mesa, Ariz., where his 90,000-member organization held a two-day Canadian Snowbird Extravaganza Celebration this week. Slack was referring to the JOLT (Jobs Originated through Launching Travel) Act. The legislation would establish a new Canadian Retiree Visa allowing Canadians 50 and older to stay up to eight months in the U.S. each year if they own a second home here or have a rental agreement or hotel reservation. Current U.S. law limits Canadians to stays of 182 days -- about six months -- every year. Florida already is the top destination for Canadian snowbirds. Realtors, tourism officials and lawmakers say the change could provide a tremendous boost to the Florida economy still recovering from the Great Recession. Canadians make 4 million visits to Florida every year, according to the Canadian embassy in Washington. The embassy estimates Canadians account for about one-third of all foreign visitors and contribute more than $4 billion to the state's economy. Florida tourism officials say passage of the JOLT Act would boost that by as much as 30 percent. And spending on items such as accommodations, dining and recreation has a ripple effect that benefits the regional economy, they say. More than 500,000 Canadians own property in Florida, according to the Canadian Snowbird Association. Tens of thousands more rent. State and local real estate officials believe both those numbers would rise if the JOLT Act passes. The measure also would allow tourists from Poland, Israel and Brazil to visit the U.S. without needing travel visas, joining the list of 38 countries with visa waivers. Backers of the JOLT Act estimate the average overseas tourist spends $4,500. Some of that tourism money is spent at "extravaganzas" like the one Slack's group organized in Arizona. Similar events took place earlier this winter in Lakeland, Fla., and McAllen, Texas, featuring popular Canadian musicians and exhibitors ranging from amusement park owners to health service vendors. The celebrations promote a retirement lifestyle much like the one enjoyed by Slack, a retired elementary school principal from Ontario, and his wife, Lois, a retired teacher. The couple spends winters at their second home in Winter Haven, Fla. In the last Congress, the JOLT Act proposal was packaged as part of a comprehensive immigration bill that passed the Senate. This year, such comprehensive reform is considered a non-starter, and JOLT Act supporters are working to keep the proposal separate from the debate over security at the U.S.-Mexico border. In addition, lawmakers from states along the Canadian border vow to oppose any legislation that would impede the economic benefits of other Canadian tourism, including day trips to shopping malls and sporting events in the U.S.
"The Canadians are welcome to our country," said Republican Rep. Chris Collins, whose western New York district lies between Buffalo and Rochester. "We want them to eat in our restaurants and shop in our stores." Collins led a group of northern-border Republicans in helping to block floor consideration late last month of the Secure Our Borders First Act. The measure would require the airports, seaports and land ports with the most international travelers to begin using, within two years, biometric devices to scan travelers. The devices measure unique identifiers such as fingerprints and iris scans. Authors of the legislation note that biometric identification was recommended by the 9/11 Commission and was required by the Intelligence Reform and Terrorism Prevention Act of 2004. Conservative Republicans considered the Secure Our Borders First bill too soft, but northern border Republicans joined Democrats in objecting that it would impede commerce. About 71 million people crossed the U.S.-Canada border in the 12 months that ended Sept. 30, according to U.S. Customs and Border Patrol. Joyce Murray, a member of Canada's Parliament who represent part of Vancouver along the country's west coast, spoke about the issue during a recent visit to Washington. "We have an interest in having a thin border between ourselves and the United States for many reasons," said Murray, a member of the Liberal Party. "I think we have to work together to have security measures that allow us to not have a lot of barriers at the border. In Canada we are working toward to having increased security within our country, but we need to be thinking about the check and balances as well." LexisNexis, the Knowledge Burst logo, and lexis.com are registered trademarks, and LexisNexis SmartIndexing Technology is a trademark of Reed Elsevier Properties Inc., used under license. Other products and services may be trademarks or registered trademarks of their respective companies. Click here for Brian Burton's article summarizing the rules governing Canadian Snowbirds entering the US. However a query was raised by one of our members regarding subject of Canadian residency for tax purposes. The correspondence, his question and an answer from the Canadian Snowbirds Association follow. In June Calgary Herald reporter Brian Burton wrote an article on what Canadians need to be aware of when traveling into the US. The article covered most of the stuff written in CSA newsletters..8840 forms, number of days allowed the the States, Substantial Presence formula etc. In the article Roy Berg, a lawyer and tax specialist of the Calgary firm Moody Gartner said, "If you exceed 182 days in a calendar year outside Canada, Canadian tax law says you are no longer a resident, you are deemed to have disposed of all your worldwide assets and you become subject to capital gains on everything you own". If this is truly the law, then wouldn't those who take advantage of the Seniors Retiree Visa, if it ever comes into being, be faced with devastating consequences? Despite the information provided in the article, even if you are outside of Canada for longer than six months, as long as you maintain your residential ties to Canada, you will be considered a factual resident of Canada for tax purposes. The CRA takes a fairly comprehensive approach to determining residency for tax purposes. Under Canada's tax system, your liability for income tax in Canada is based on your status as a resident or non-resident of Canada. Your residence status must be established before your tax liability to Canada can be determined. A determination of residence status can only be made after all the factors have been considered. Your circumstances have to be reviewed in their entirety to get an accurate picture of your residence status. The residential ties you have or establish in Canada are a major factor in determining residence status. Residential ties to Canada include a home in Canada, a spouse or common-law partner or dependants in Canada, personal property in Canada, such as a car or furniture, social ties in Canada; and economic ties in Canada. Other ties that may be relevant include: a Canadian driver's licence, Canadian bank accounts or credit cards; and health insurance with a Canadian province or territory. If you have any additional questions, please do not hesitate to contact me directly. Published on November 25, 2013 at 14:39, by Roy A Berg JD, LLM of Moodys Gartner lawyers and Chartered Accountants who provide strategic tax advice to individual and corporate clients that have interests in Canada, the US or both. Virtually all Canadian snowbirds know they must keep track of how many days they are in the US and outside of Canada because “bad” tax and non-tax surprises await those who are in or out of either country too long. Given the importance of “day count,” why do so few travellers (relatively speaking) trigger an examination based on the amount of time they have spent in either country? The answer may come as a shock to most (and I would guess nearly all) snowbirds. Prior to 2014 neither the US nor Canada knew how many days someone had been within its borders. That will change in 2014 as new rules go into effect. 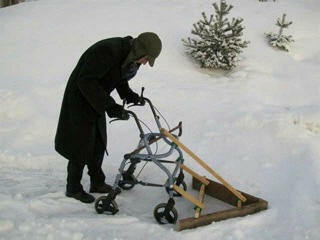 All snowbirds need to know how this change will affect them. The “Entry/Exit Initiative:” Changes in 2014 every Canadian snowbird needs to know. The “good old days” of lax enforcement of “day count” will end in 2014. Before the implementation of Phase IV of the Entry/Exit Initiative, each country counted individuals’ day presence only when they entered the country, and not when they left the country. Further, this information was rarely shared between the two countries. Consequently, typically neither country knew how long someone had been present within its borders. In the good old days, if an individual wanted to obtain an accurate accounting of the days in (or out) of both countries, he would have to contact both the US Customs and Border Protection (“USCBP”) and the Canadian Border Services Agency (“CBSA”) and request border entry data (click here for a day count request form from the US and here for a day count request form for Canada). Only after receiving both reports and cross-referencing such data could an individual be sure of how many days they were present in Canada or the US. When requesting the entry report from either USCBP or CBSA, it is best to plan ahead – far ahead. It typically takes thirty days to receive the report from CBSA and two months for USCBP. This can cause a substantial hardship when trying to comply with IRS and CRA filing deadlines. There are generally five bad surprises that can result from being in the US or out of Canada for too long. We’ve discussed these consequences in several other articles (a more complete analysis of the following may be found here), so I will not address them in detail. All of the following “bad” tax and non-tax surprises hinge on whether an individual is “resident” or not. Those who expect consistency and logic in law (whether it be tax, immigration, or health services) will be disappointed, though probably not surprised, to learn the definition of “resident” is different in each of the following examples. 1) Banned from travel to US if unlawfully present. Perhaps the most draconian consequence to spending too much time in the US is to fall into the “unlawful presence” rules. Canadians who remain in the US for more than 180 days in a rolling twelve month period risk being deemed unlawfully present, the consequences of which are: a) a 3-year travel ban if unlawfully present for between 180 and 365 days; and b) a 10-year travel ban if unlawfully present for more than 365 days. 2) Liability for US income tax on worldwide income. The US taxes US citizens and “US residents” on their worldwide income. If the snowbird is present in the US for too many days he risks becoming deemed a US resident and therefore subject to tax on his worldwide income. 3) Liability for US estate tax on fair market value of worldwide assets. The US also taxes US citizens and “US residents” on the fair market value of their worldwide assets at death. Unfortunately the definition of “US resident” for estate tax is fundamentally different than the definition for US income tax purposes (see the prior link for a more complete analysis). The result is that the heirs of the uninformed snowbird can find their inheritance subject to the US estate tax. 4) Liability for Canadian departure tax. Canada taxes its residents on their worldwide income. Once a Canadian resident is no longer resident he is deemed to have disposed all of his assets (subject to exceptions), recognize the gain on those assets, and pay tax on that gain. Whether an individual is no longer resident is a facts and circumstances test; however, a big factor in that analysis is day count. Therefore, the snowbird who spends too much time in the US risks a nasty Canadian tax surprise. 5) Loss of provincial health care. Canadian residents are entitled to participate in provincial health services. Once an individual is no longer resident of the particular province, he loses this entitlement. Of course, the rules for “residency” in the health care context are different than those discussed above. In light of the fact that neither the US nor Canada has historically known an individual’s day count, it is not surprising that day count has not usually been a triggered IRS or CRA examination. We have all been required to self-report our days and residence status to the appropriate authorities. It is as though we have all been lulled into the quotidian task of grading our own homework and have been generously giving ourselves high marks, regardless of whether we deserve them or even completed the assignment at all. In 2014, the teacher will begin to grade our homework… and she knows the answers. Moodys Gartner Tax Law is only about tax. It is not an add-on service, it is our singular focus. Our Canadian and US lawyers and Chartered Accountants work together to develop effective tax strategies that get results, for individuals and corporate clients with interests in Canada, the US or both. Our strengths lie in Canadian and US cross-border tax advisory services, estateplanning, and tax litigation/dispute resolution. We identify areas of risk and opportunity, and create plans that yield the right balance of protection, optimization and compliance for each of our clients’ special circumstances. Expanded border-tracking system raises privacy concerns. OTTAWA - Canada Border Services Agency (CBSA) is working on one of the final steps before a massive expansion of a system that tracks everyone's Canada-U.S. border crossings and automatically informs both governments. "The CBSA is in the process of completing a privacy impact assessment to ensure an appropriate balance between the privacy rights of Canadians and the need to secure the integrity of our borders," a spokesman for Public Safety Minister Steven Blaney said in an email. There's no word on when that assessment of the more expansive monitoring system will be finished. Canada and the U.S. already have a system of sharing the names, ages, nationalities and other biographical information of all permanent residents and visitors crossing the common land border. As QMI Agency first reported Thursday, the CBSA will enlarge the system - first, to include even Canadian and American citizens at land borders, and later to cover all airline passengers aboard international flights. The Office of the Privacy Commissioner of Canada warned the government in 2011 that this kind of system can raise privacy concerns. 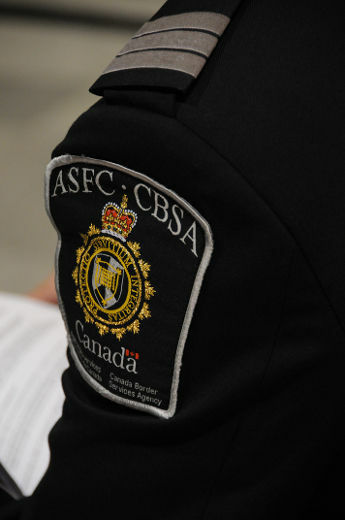 Commissioner spokesman Scott Hutchinson said officials are waiting for more information about the CBSA's latest plans. "We look forward to gaining further details and making recommendations to CBSA following our receipt and review of its (privacy impact assessment)," he said. "One of the key questions will be with whom Canadians' exit-entry information will be shared and for what purposes." The exit-entry system is part of the Canada-U.S. Beyond the Border plan to create a North American security perimeter. There have been some interesting developments in border crossing regulations of which you should be aware. These are outlined in a second article by Bradford Flecke and is reproduced below. His first article may be viewed by clicking here (you'll need a PDF reader such as 'Adobe' or like to view the document) . Canadian snowbirds continue to show keen interest in proposed new US retiree-visa and extended-stay options currently under consideration by the U.S. House. But there is an imminent change now being implemented that could have serious consequences for Canadians planning for the 2013-14 southbound season. Equipment now being installed at U.S. ports-of-entry will enable U.S. authorities to keep track of the comings and goings of all nonimmigrants, including visitors. The equipment may not be operational at all ports-of-entry until late 2014. With the new technology comes a new policy regarding the admission of Canadians as visitors. Six Months Minus A Day Canadians entering as visitors without a visa will be issued an 1-94 admission card like the ones issued to other nonimmigrants. For most snowbirds, the period of admission indicated on the 1-94 will be six months minus a day. Frequent visitors may be granted shorter periods of stay. The infamous "unlawful presence" rules that apply to most other nonimmigrants are now being applied (inconsistently, so far) to Canadian visitors. Canadians who remain in the U.S. six months beyond the period allowed on the 1-94 card will only be able to re-enter the U.S. after 36 months abroad. Canadians who remain in the U.S. for 12 months or more beyond the 1-94 admission period will be able to reenter the U.S. after 120 months abroad. Canadians facing the 36- and 120-month bars do have options: applying for waivers of inadmissibility or appearing before a U.S. immigration judge. Neither option is a slam dunk. Waivers are not routinely granted and immigration proceedings often take longer than 36 months. Snowbirds need to take these 1-94 cards seriously. Once the data equipment is up and running at the ports-of-entry, no one is going to talk her way out of 3/10-year bar at the border. The analysis will be painfully simple. If a snowbird overstays the 1-94 expiration date, she is barred. Though the three-year bar does not kick in until 181 days of unlawful presence, shorter overstays may prompt Customs and Border Protection to restrict future stays. So avoid making plans that bump up against the 1-94 expiration date. Plan for the unexpected. Plan to leave a week or more before your 1-94 expiration date. Waivers are available - but do not bet the next three or 10 years of your life on getting one! A snowbird who leaves the U.S. for less than 30 days will be treated as if she never left. The time on the previously issued 1-94 card will continue to run. How long does a snowbird have to remain out-side the U.S. to ensure that a new 1-94 card will be for the full six months-minus-a-day? Short answer: the border officer has complete discretion. Remaining outside the U.S. for six months probably will reset the calendar. Will four months outside the U.S. reset the calendar' Probably. Three months? Maybe. Two months? No. A snowbird who enters as a visitor and later during the same stay, decides to pursue Adjustment of Status for a green card has a limited window of time in which to file and (for U.S. Citizenship and Immigration Services to receive) the Adjustment application packet: the 61st day from entry through the 1-94 expiration date. After filing, that snowbird can then ignore the 1-94 expiration date; the snowbird has a new status, Adjustment Applicant, that will allow her to remain in the US until the green card process is completed. Why 61 days? According to Immigration Service guidelines, immigration-application examiners are supposed to avoid arguments about immigration fraud and an applicant's intent at the time of entry if the applicant filed for adjustment of status at least 60 days after entry. But these are government internal guidelines, not laws (how lucky do you feel?). If the same snowbird is in danger of missing the adjustment-filing window, she should heed the 1-94 card expiration date and leave the United States or risk a 3/10-year bar. Whether she can re-enter at a later date, wait the 61 days, and then apply for adjustment is unclear. Consult an experienced US immigration attorney on this issue. If the current proposal for a 240-day extended stay for Canadians becomes law, expect the same 3/10-year bar to apply. For many Canadians, the snowbird-as-visitor lifestyle is going to become a hassle. Explore other immigration options with a cross-border financial planner and a U.S. immigration attorney (hint: neither one is going to have the complete picture on this). Bradford Flecke is an immigration consultant for the crossborder law firm KeatsConnelly. He writes a blog on crossborder immigration - visit Brad's Blog . Brief Absence(s) from U.S. during your Winter Stay in the U.S. Some of you may not be aware of a 30 day 'rule' concerning your 182 day stay in the U.S. Apparently if you leave the U.S. for less than 30 days, say to return to Canada for Christmas, then that time is NOT deducted from the calculated length of your stay in the U.S., i.e. the 182 day clock keeps running. The source for this info is Bradford Flecke of KeatsConnelly and you can see the source article by clicking HERE . Although there is a lot of supposition and opinion in this article by the author, we feel that, given that Keats Connelly is a well known source of information when it comes to Cross Border rules and regulations, this article can be considered as a good source of info for our members. CBP stands for the U.S. Customs and Border Protection government agency. We also double checked with Wallace Weylie, legal council for the Canadian Snowbird Association, regarding the JOLT Act which contains the provision for retired Canadians who either own or rent property in the United States to apply for a Retiree Visa which would allow us to stay in the United States up to 240 days in a calendar year. It has passed through the US Senate and is now in the US House of Representatives. CSA representatives will be in Washington this upcoming week trying to lobby congressmen and women to push it along so it can go to presidential approval and become law in future, fingers crossed. After the concerns, confusion and furor caused the past few months regarding The Villages Hospital and Leesburg Hospital members of the Central Florida Health Alliance (CFHA) we have what we feel is good news. Don McDonald, Health Committee Chairman and Dave Horsman, Canadian Loonies &Toonies President, recently met with Ms. Courtney Badman, System Director of Patient Registration Department - CFHA at The Villages Hospital after references from Jeff Zimmerman, Sales Manager of Property of the Villages and Amy Wixsted , Program Director USF Health Services here in The Villages [the folks who ran the health Survey that we overwhelmingly participated in]. Ms. Badman was extremely open with us and explained that after having endured unpaid claims by foreign insurance companies due to patients receiving services that were not covered or approved by the insurance company the CFHA had a somewhat knee jerk reaction and tried to implement a policy where travelers were asked to pay up front for services and then have the patient recover the funds from their insurance company. After getting a lot of negative feedback [maybe some from the survey ?] the CFHA thankfully has reverted back to their original policy of accepting all travelers insurance with the caveat that the patient will asked to pay a $ 2000.00 refundable deposit if the care provider can not get approval from the insurance company in a timely manner. We have attached a memo we received from Ms. Badman following our meeting at the end of this email message. There exists a list of providers that have been pre-approved by CFHA but, for example, three of the most popular insurance companies our members use, Medipac, RBC and Securiglobe are not on it. We have had instances in the past few weeks where members who were covered by Medipac and RBC went to the Villages Hospital and received full treatment and were not required to pay as the hospital was able to get the approvals from the insurance companies quickly. Our suggestion is that before you seek any treatment at a Florida hospital that you or your spouse/partner contact your insurance company and get the ball rolling on getting the hospital the approval they need. You may also want to confer with your insurance company before buying insurance for next season and get their take on the situation so you'll know exactly what procedure to follow in case of a medical emergency. We were also advised by Ms. Badman of the EMTALA Law which requires hospitals to provide care to anyone needing emergency healthcare treatment regardless of citizenship, legal status or ability to pay. There are no reimbursement provisions. Participating hospitals may only transfer or discharge patients needing emergency treatment under their own informed consent, after stabilization, or when their condition requires transfer to a hospital better equipped to administer the treatment. Ms. Badman has also accepted out invitation to be one of our guest speakers next season and will be with us November 14 2012 along with a clinical colleague. Form 8840 - What's it About? Disclaimer - The purpose of this article is simply to make you aware of this form. The accuracy of this information has not been officially verified and should not be construed as a recommendation for or against any activity in regard to the completion of Form 8840. You may have heard talk about a U.S. (Department of the Treasury Internal Revenue Service) form 8840 known officially as "Closer Connection Exception Statement for Aliens". We, as Canadians, making the annual trek to the U.S. for the winter and staying for less than 184 days, will generally meet the Substantial Presence Test and as such would be considered "Resident Aliens" with the tax consequences that this implies. However, the 8840 form allows an Alien (you in this case) to declare that you have closer ties to another country (Canada in this case) than you do to the U.S. thus establishing a closer connection to a foreign country (Canada) and maintain a nonresident alien status, even though you may own property here. Any questions should be addressed to the US government or Canadian Snowbird Association. You may find the following links helpful. Use your browser's "Back" button to return here after going to some of these screens (links). Click HERE get a blank 8840 form which will immediately download a blank PDF form (f8840.pdf) to your default download folder (in chrome that would be 'user.your user name.Downloads') without much indication that it happened. General Information regarding the 8840 form may be found HERE. For additional items pertaining to your stay in the U.S. Return to Top to see the index. 3) 1/6 of the days you were present in the second year before the current year. Florida Home Finders of Canada strives to update our registrants from time to time about any issues in Florida or beyond that may affect the purchase of your second home or rental income generating property in Florida. Please read below the Florida Home Finders of Canada's tax summary of the effects of the latest agreement between the various levels of Government in the U.S. In this Newsletter we will outline the major cross border tax implications on Canadians. If you have specific questions pertaining to your individual situation, please ask us for a referral to a U.S. Tax accountant or U.S. Real estate (cross Border) Lawyer. The US Senate has worked out a tentative deal to avoid sending the country over the "Fiscal Cliff". The Republican-controlled Congress has also agreed to the plan, which affects numerous tax issues. The "Fiscal Cliff" refers to the cumulative effect of spending cuts and tax increases, which were scheduled to occur January 1, 2013 as a result of the expiry of several pieces of legislation. This issue has received a great amount of press in recent months, as a failure of the White House, Congress and the Senate to compromise and work out agreements would have potentially sent the U.S. Economy back into recession. For Canadians with Holdings in the US, a major concern was changes to the current Estate tax structure. The Canada - U.S. Tax Treaty allows Canadian residents the same estate tax exemptions that are available to most U.S. residents. Specifically, in 2012, there was a $5.12 million exemption from estate tax which also applies to Canadians. This means that only estates worth greater than $5.12 Million would end up paying the Federal estate taxes, and the maximum rate was capped at 35%. It is important to Note that this is not a capital gains tax on death, as we have in Canada. This tax applies to the fair market value of assets at the time of death. For 2013, this threshold did not change. If a Canadian owns U.S. Assets and/or securities worth more than $60,000, and passes away with a worldwide estate valued in excess of $5 million, U.S. estate tax will apply. It is important to note that the worldwide estate value includes all worldwide assets such as; real estate, investment accounts, RRSPs, investments, the proceeds of life insurance etc. It is important to note that the tax is only applied against the value of the U.S. situated assets. High-net worth Canadians should continue to evaluate their estate tax exposure and hold U.S. assets in a Cross Border structure that minimizes or eliminates the potential for U.S. estate tax liabilities. Much of the press on the Fiscal Cliff has been on the increases in income tax rates in the U.S.(expiry of income tax breaks). This issue is not likely to affect Canadian residents. Canadian residents pay Canadian tax on their world wide income. Any U.S. sourced income earned by a Canadian will be added on top of their Canadian income, such that it will be taxed at a relatively higher marginal rate. U.S. sourced income will be taxed in the U.S. at lower rates and Canada will give a credit for any U.S. taxes paid. As long as the marginal rate in the U.S. is lower than the marginal rate in Canada on the same income, increases in US income tax rates will not affect Canadians. The one expiring tax cut that was not renewed under the new deal is to the long-term capital gains tax rate on the disposition of capital assets. This is the one tax increase that will be felt by some Canadians. In Canada, we pay regular income tax on half of the capital gain. The top marginal capital gains rate in Canada ranges from approximately 19.5% in Alberta to almost 25% in Quebec. Ontario is currently at 23%. In 2012, the U.S. federal capital gains tax for individuals who had held an asset for longer than one year was capped at 15% on the capital gain. For 2013 that rate has now increased to 20%. Please remember that these are all federal taxes and that Florida has no Capital gains taxes on individuals, limited partnerships and trusts.